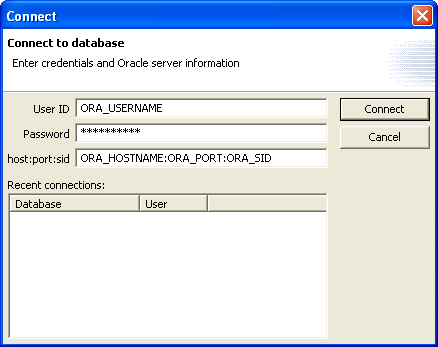 In the past I have talked about using Tora to connect to Oracle. I also listed down downloads of Oracle Client for Windows. Today I am going to introduce you to SQLPal. No installation needed! Just download the zip file and extract it at your convenience. You also need to have the latest JRE installed. Important: If you get an error when connecting to Oracle you need to update the JDBC driver included with SQLpal. Find classes12.jar in your Oracle installation and copy the file over to your SQLpal directory, replacing the existing file. 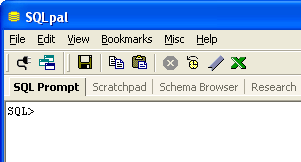 Schema Browser. This tab will help you to see the details of every Oracle objects (Procedures, Packages, Functions, Tables, Views, Sequences, Synonims). Some objects are read-only (Tables, Views, Sequences, Synonims). But the rest are editable. Research. This tab is basically a browser pointing to resources that might help you when you hit a stumbling block. Try this tiny and efficient tools. I’m sure you going to like it very much!